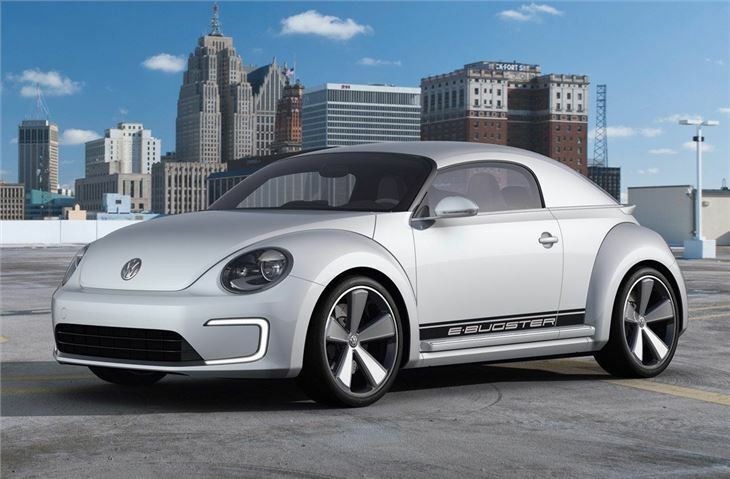 Coupe two-seat version of the standard Beetle, runs purely on electric power, range of more than 115 miles according to Volkswagen. Just a concept with no signs of it becoming a production car any time soon. 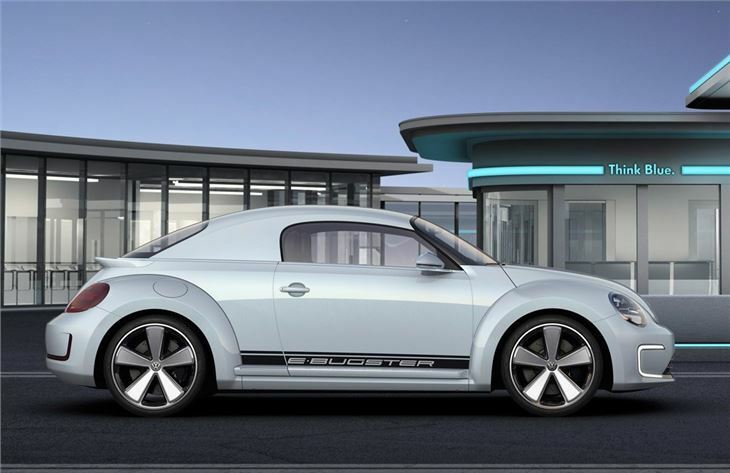 Volkswagen unveiled its E-Bugster concept at the North American motor show. 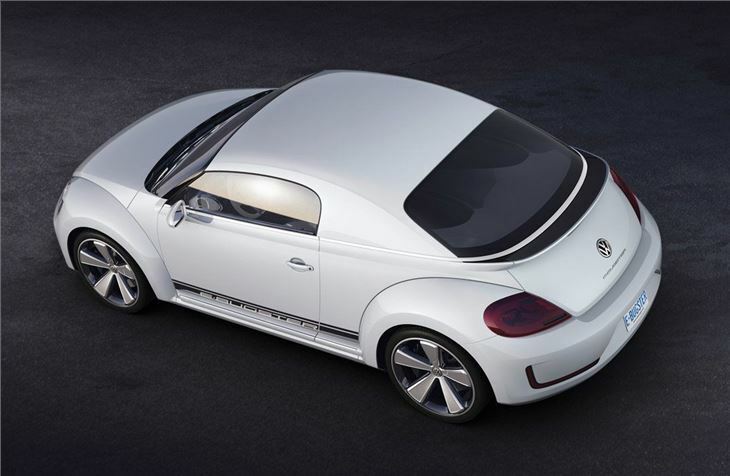 The two-seat version of the new 2012 Beetle has a lower roofline and a wider body along with a unique roof. 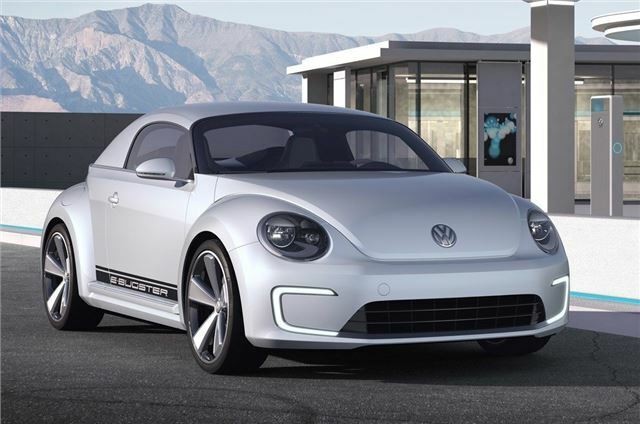 But the big difference is that the Bugster runs purely on electricity. An electric motor provides 116PS which gives it a 0-60mph time of 10.9 seconds and the E-Bugster has a range of at least 110 miles according to Volkswagen. It's power comes from lithium-ion batteries and a fast charging function allows it to be completely recharged in just 35 minutes. That's possible thanks to a new Combined Charging System that was developed in co-operation with Audi, BMW, Daimler, Porsche, Ford and General Motors. It allows charging from from a standard domestic socket or via ultra-fast DC sources at specific charging stations. 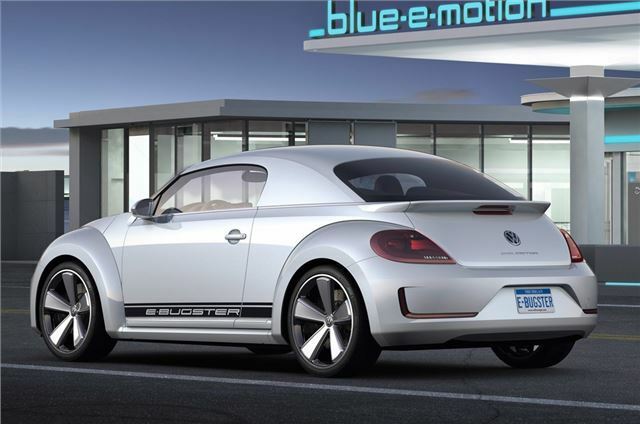 The E-Bugster also charged using kinectic energy, So as soon as the driver’s foot leaves the accelerator pedal, energy is transformed into electricity and stored in the battery. Applying the brakes increases the intensity of regeneration. 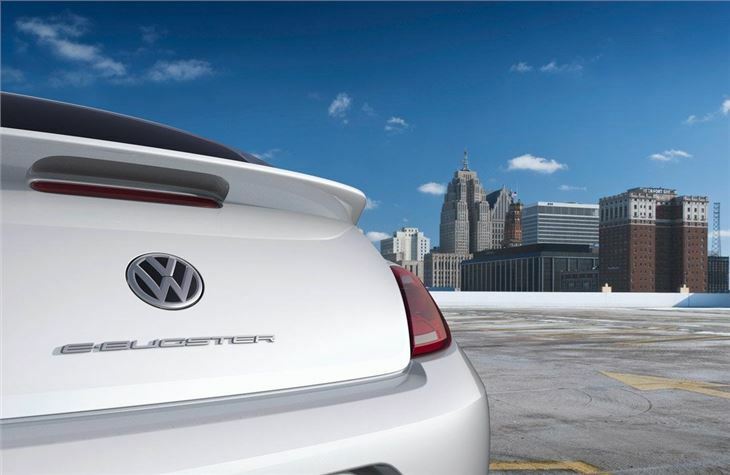 In terms of looks, the front and rear bumpers have been considerably modified from those of the production Beetle. There are LED daytime running lights at the front in a C-shape while at the back, reflectors take the place of LEDs. The concept car is fitted with 20-inch alloy wheels that are adapted from the 18-inch ‘Twister’ alloys of the production car. Meanwhilem, inside there are sports seats, a continuous centre console, plus aluminium door handles. 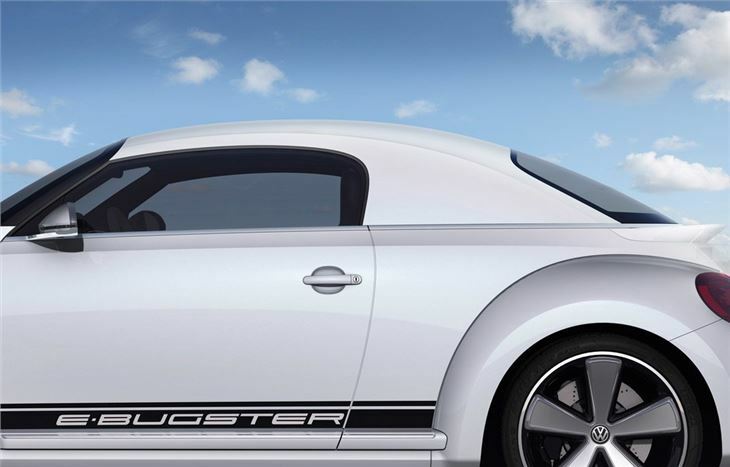 Starting the E-Bugster is different too. When the driver presses the Start button, the interior is illuminated in white light which then turns blue. It starts with a light pulse in the instrument cluster, from where the light emanates in a millimetre-wide strip, coursing into the doors and around the air nozzles.